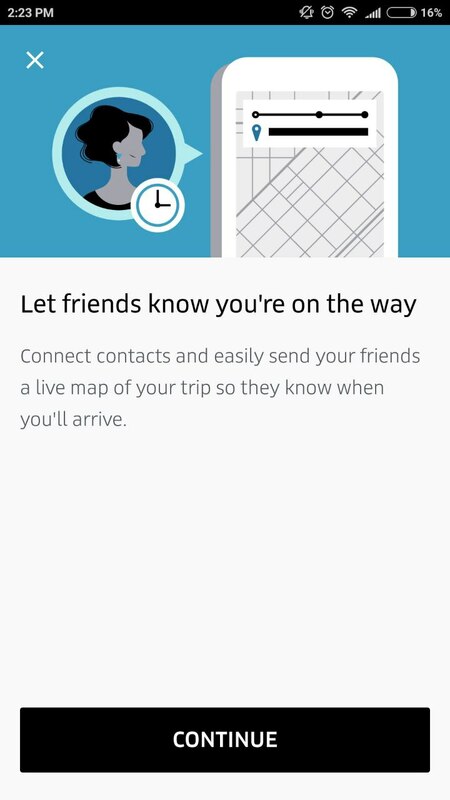 You may share your ETA (estimated time of arrival) with your family or friends once you take a ride with Uber. They will know where you are on real-time basis and when you are going to arrive. Order a trip in Uber app. Before or during the trip scroll the screen up from the bottom and select "Share Status". Insert in the application the name of all the people you want to send the details of your trip or their phone numbers. Confirm sending your trip status. You will have an option to share your trip details with loved ones via social networks, SMS, e-mail, etc. They’ll receive a message with a link. Opening the link displays your driver’s first name, vehicle info, and your map location in real-time.